1Dealer Discount 2Must own or lease a 1999 or newer non-GM vehicle to be eligible. Must finance with GM Financial. Some vehicles do not qualify for all GM Rebates. See dealer for details. 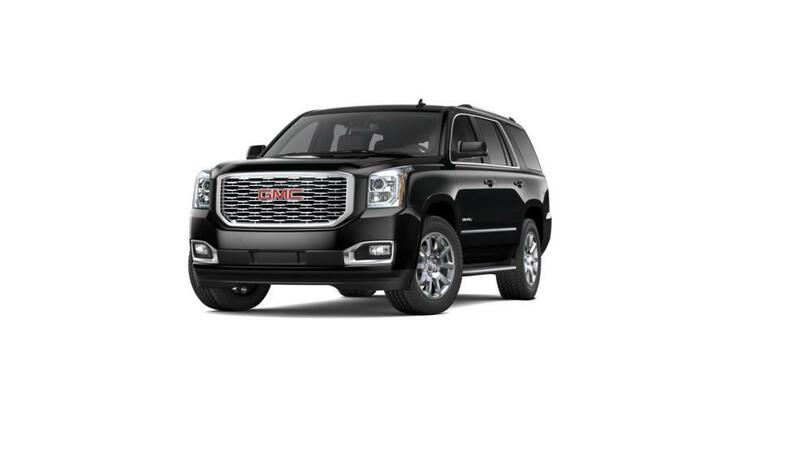 Gerry Lane Buick GMC is offering the all-new Yukon to its customers. With three rows of seating, it can accommodate up to nine passengers. The interior is a perfect blend of comfort and functionality. Some of the features include authentic aluminum trim, leather wrapped heated steering wheel, tri-zone automatic climate control, and much more. The cabin is quiet and there is very minimal noise and vibration inside. The cabin space has been used very sensibly and is quite spacious. The eight-inch diagonal color touch radio with IntelliLink is enough to keep you well connected, entertained and updated while on the go. Come to Gerry Lane Buick GMC and test-drive the Yukon in Baton Rouge today.